Join us for the 2018 DuPage County Martin Luther King, Jr. Celebration! Ruth Lewis Bentley currently serves as the Administrative Executive Director/Treasurer of the National Black Evangelical Association (NBEA) in Chicago, Illinois, having been a charter member since 1963. A Wheaton College BA/MA graduate, her thesis was on “Counseling Christian Neurotics.” The University of Alabama’s first black Ph.D. candidate, Dr. Bentley did her dissertation research in Adelaide, South Australia through being awarded a Fulbright Fellowship. She then received the degree of Counseling and Guidance in Higher Education in 1970. She headed counseling programs at historic black Miles College in Birmingham, Alabama, for black students at Trinity College in Deerfield, Illinois, and for an Urban Health Academic Skills program at the University of Illinois at Chicago, primarily for Black and Hispanic medical professional students. 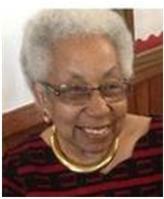 She taught Black Psychology at the Trinity Evangelical Divinity School. In 1974, she co-founded a student component of NBEA — the National Black Christian Students Conference (NBCSC) — where she dealt with Black personality, identity, and community issues, stressing being both Black and Christian. From her experiences, Dr. Bentley wrote for, and edited, a brief booklet — “Handbook for Black Christian Students: How to Remain Sane and Grow in A White College Setting,” as well as related articles. She assisted her husband, William, in editing his seminal Black theological writings. In 2003, she also founded ICCARE — International Christian Coalition for AIDS Reversal and Education, with associates in Zambia and Kenya. Though now retired, Dr. Bentley still speaks and volunteers at her church, her organizations and as a Life Advisory Trustee of Wheaton College, Wheaton, Illinois.